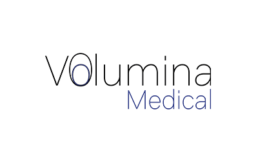 Volumina Medical SA has developped AdiPearlTM which is based on rigorous research performed since 2015 at the Ecole Polytechnique Fédérale de Lausanne (EPFL). It was sparked by the interaction with several surgeons who were looking for solutions to reconstruct soft tissue volumes. Company’s objective is to develop, manufacture and commercialize highly innovative tissue reconstruction technologies for the market of reconstructive and plastic surgery.